Easy content updates and management using your iPhone! 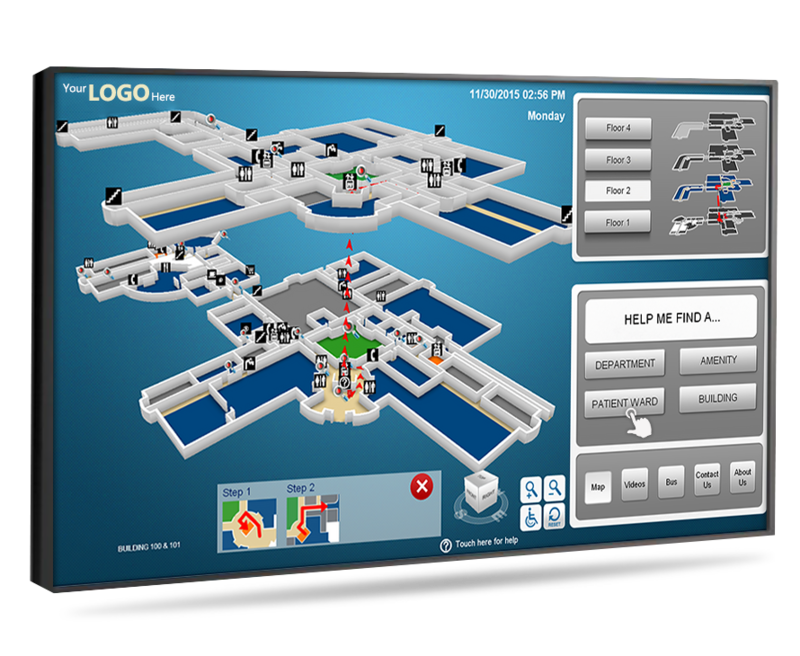 If you are looking for a retail wayfinding digital signage solution, that is highly effective, tried and tested, and dramatically improves customer experiences then you’ll favor this easy to manage professionally designed system. 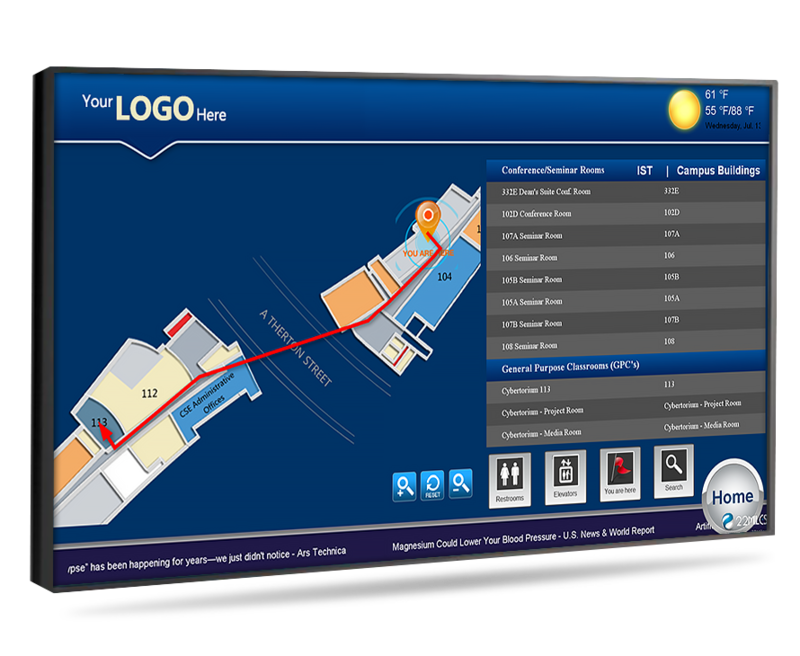 Using this all-in-one retail digital signage wayfinding system you can seamlessly provide customers with turn by turn directions to specific products, aisles, departments or floors, promote sales, your weekly ads, and other important notifications into this easy to manage visual communication platform. 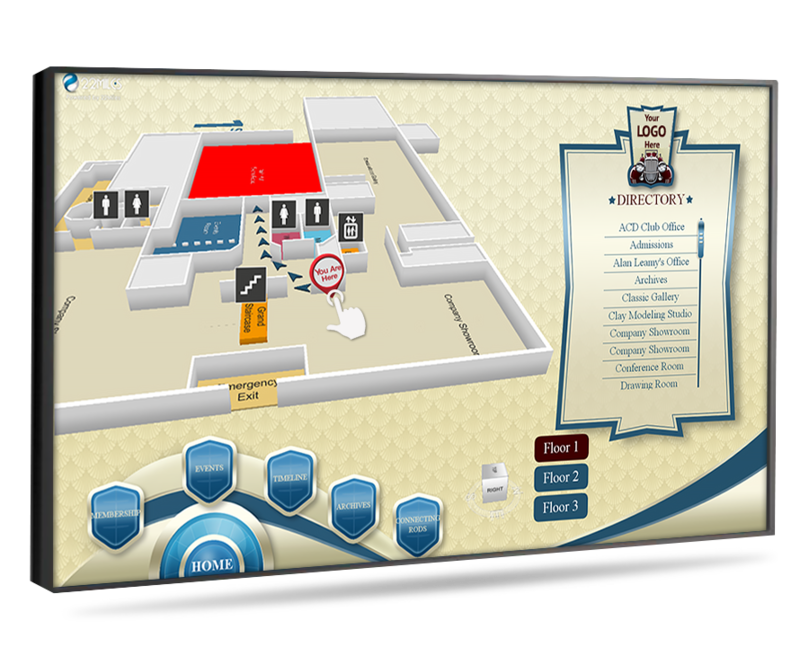 Compliment your retail store wayfinding map with a series of engaging features. 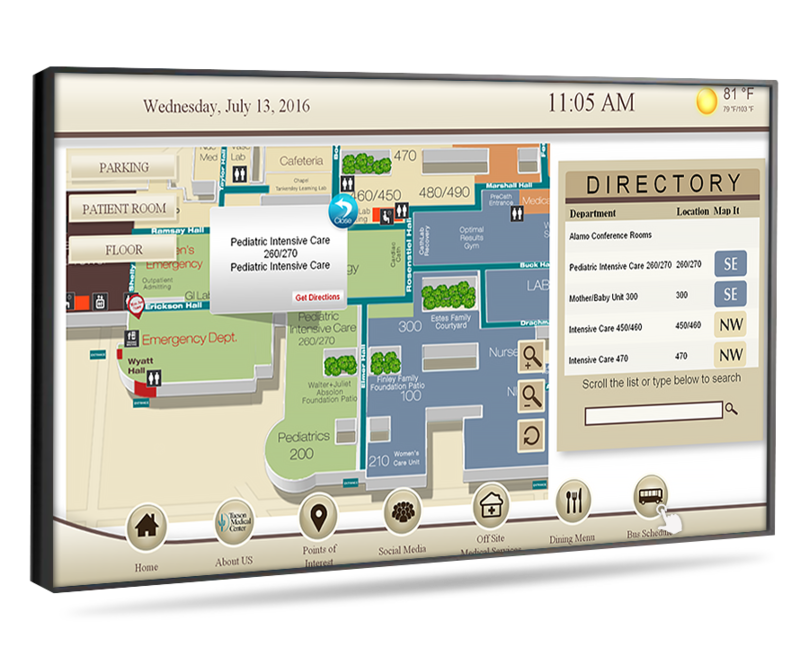 The Waytouch Premier™ enables users to browse quickly through different pages, buttons and areas of informative content and media. This freedom creates remarkable customized user experiences. • Include interactive surveys to gain valuable customer feedback. • Add FAQ button featuring answers on-demand customer inquiries. 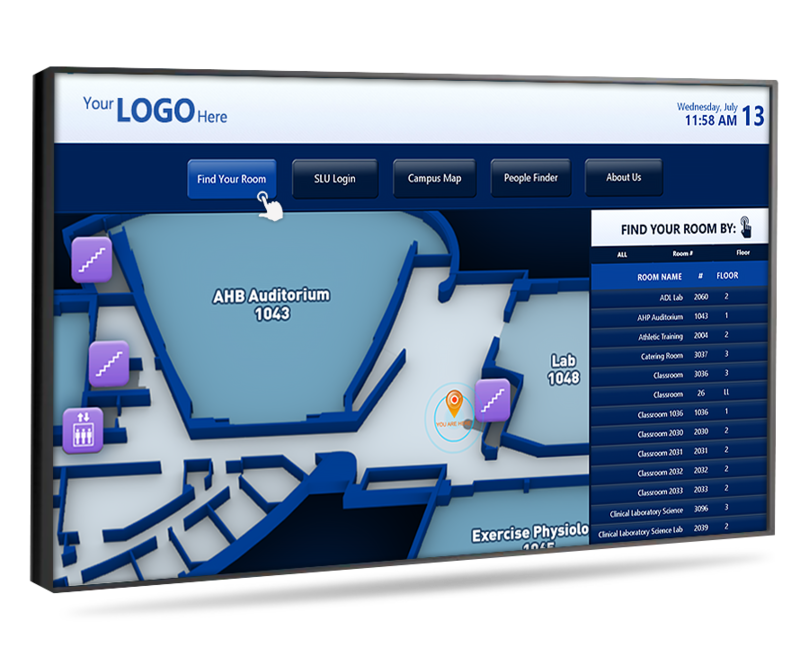 You will receive an out-of-the-box ready to use touchscreen wayfinding solution. 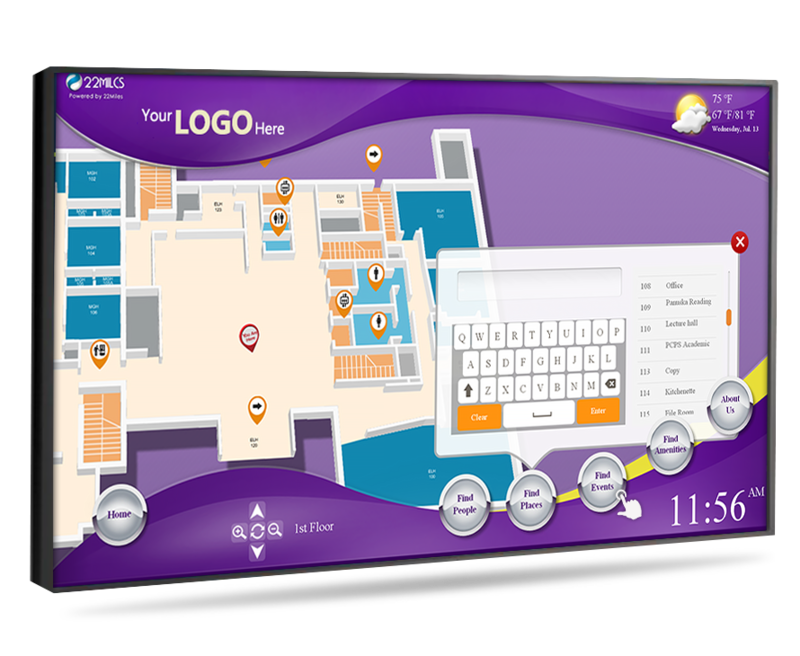 It will ship preloaded with your retail store map with directions, custom content, retail wayfinding digital signage software, and media player. Tell us the features you need then we will custom develop, test and set up everything for you. 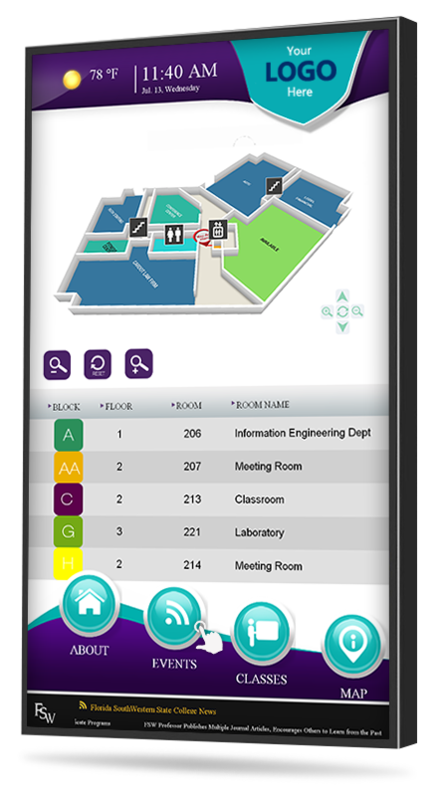 *Note: additional per floor wayfinding maps and destination points can be purchased separately. 4. Turn it on and you are done! The software with content will automatically load. 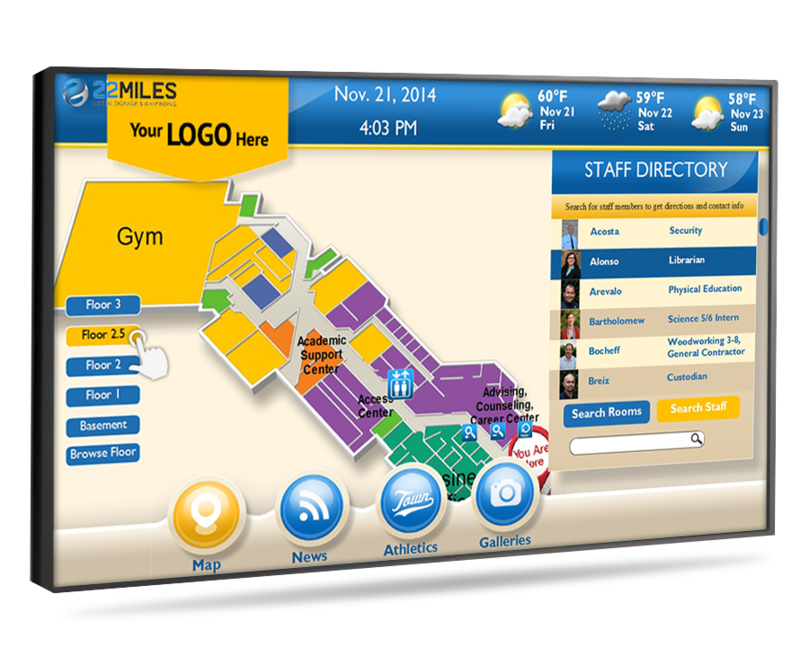 What Are Digital Signage Wayfinding Kiosks? Shoppers today are in a rush. However, they still expect a good experience. 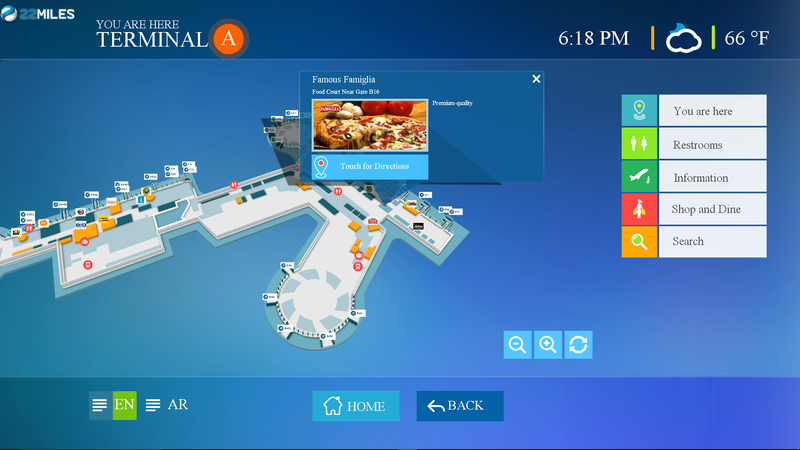 Easy store navigation to products and real-time notifications of sales are both examples of an engaging shopping experience. According to a recent study by I Am Omnichannel, 70% of women and 50% of men believe shopping is as a way of entertainment. 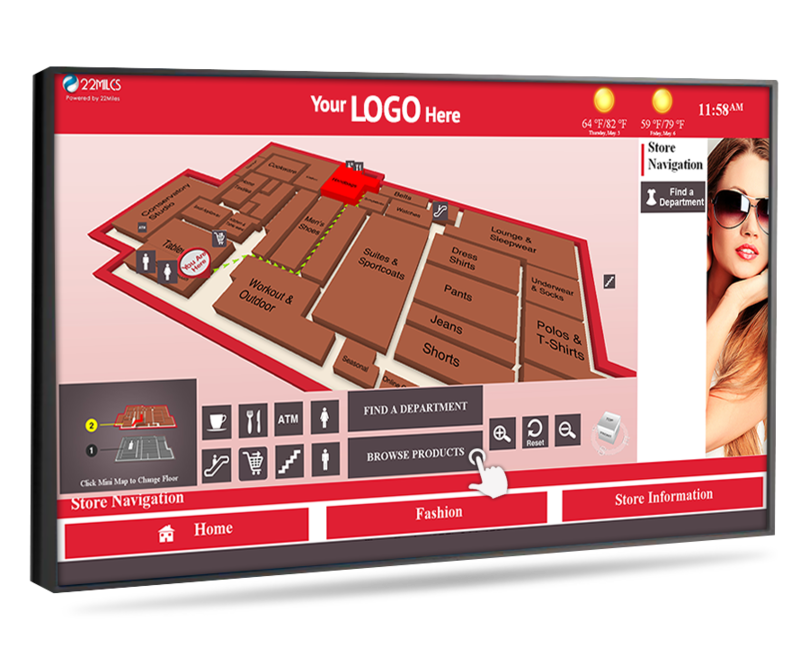 At the same time, 70% of customers think digital signage is entertaining. And 30% of customers who engage with a touch screen retail digital sign end up making a purchase. Let me explain. Entertainment is fun. When something is fun, it is something we take valuable time out of our busy day for it. Consequently increasing the entertainment component of shopping has become a focus of retailers everywhere. 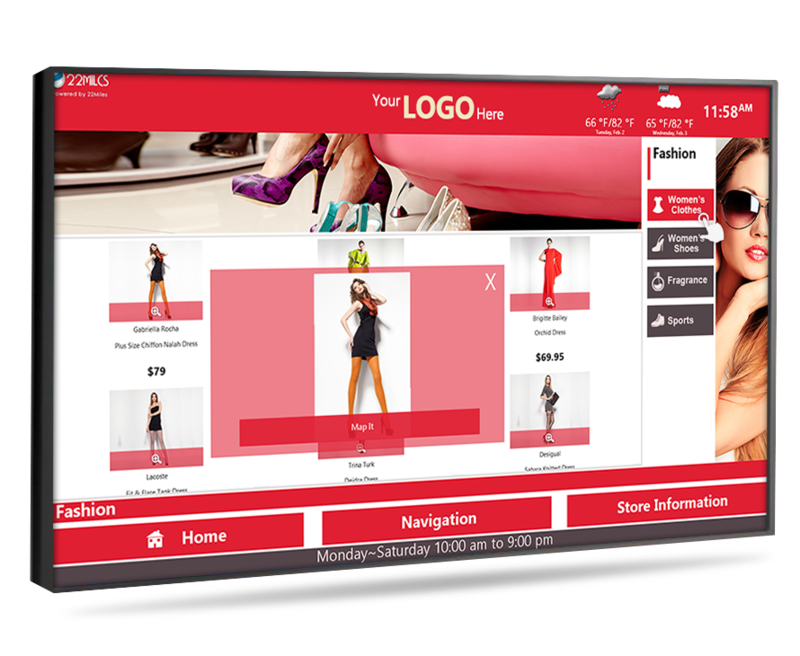 Touch screen retail digital signs are 'fun' to use and tend to influence and astonish customers. Since the evolution of cellphones, apps, and the internet shoppers now anticipate and appreciate using technology on a daily basis through every fascist of their day. How can retailers today accomplish this? 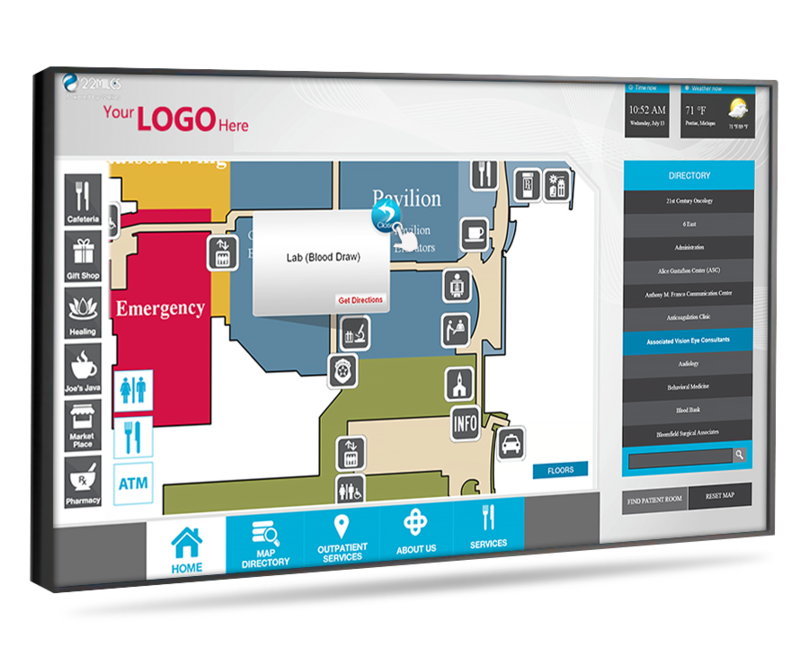 After meticulous planning and new updates especially for retail we released the Waytouch Premier™r – a state-of-the- art total touch screen omnichannel wayfinding redtail digital signage solution. This all-in-one system eloquently connects your customers to on-demand information. Turn by turn directions to specific products, aisles, your weekly ads, and customer loyalty program are examples of what you integrate into the content of the display. 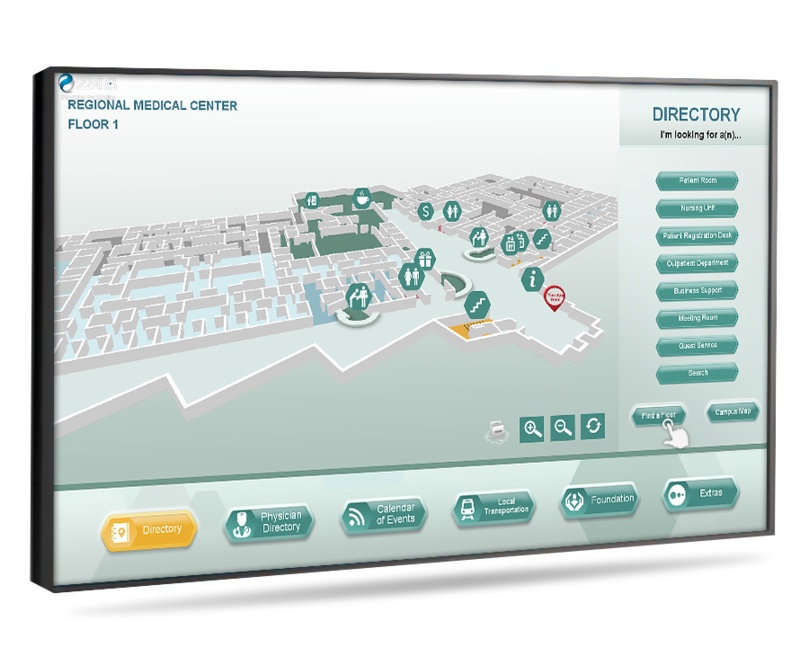 You will receive an out-of-the-box ready to use touchscreen wayfinding solution. Simply let our design team know what you would like the system to consist of. We will then create all of the content, graphics, and set-ups everything for you. The final product you receive will be plug and play ready to use! 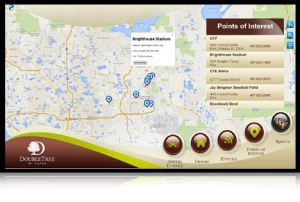 Included with the Waytouch Premier™is the creation of 3D pinch and zoom maps. 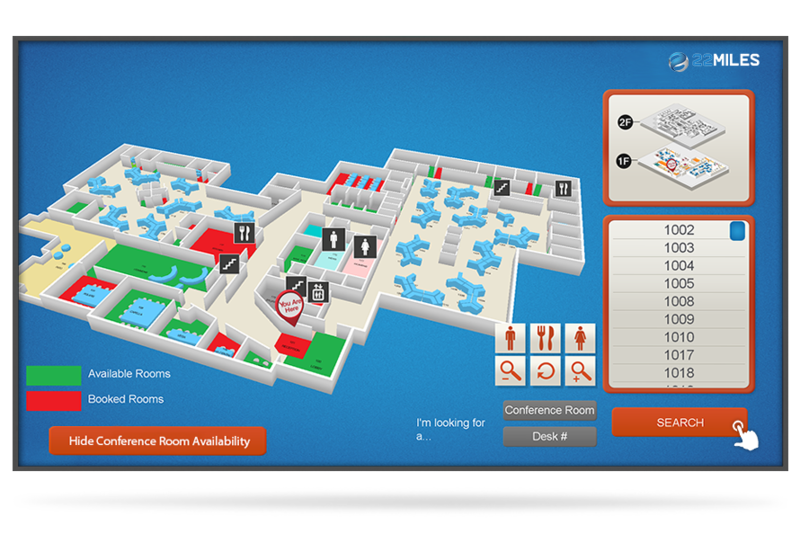 Connected to the map is a searchable directory for products, bathrooms, ATMs, aisles, and other departments in your store. When a selection is made the customer receives turn by turn directions. This convenient access to store information dramatically improves shopping experiences. 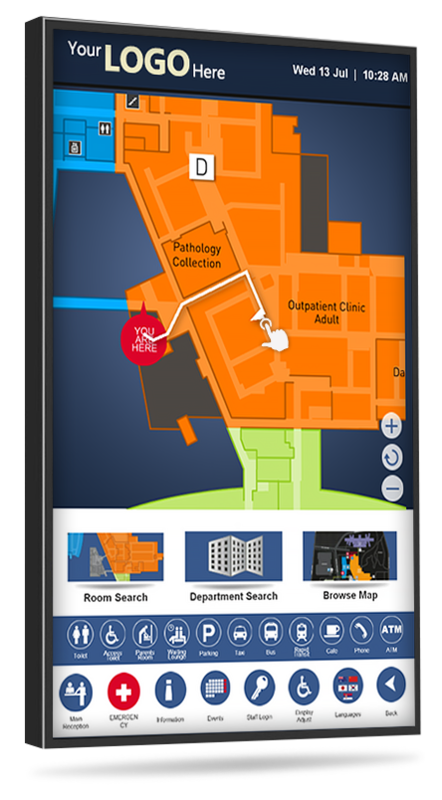 It makes it easier for the customer to view, locate and receive immediate answers. Daily sales, specials, announcements and other multimedia changes can be done in minutes using the included cloud-based content manager portal. Once the system is installed, it is self-operational. Settings can be applied for pre-scheduled Power ON / OFF. 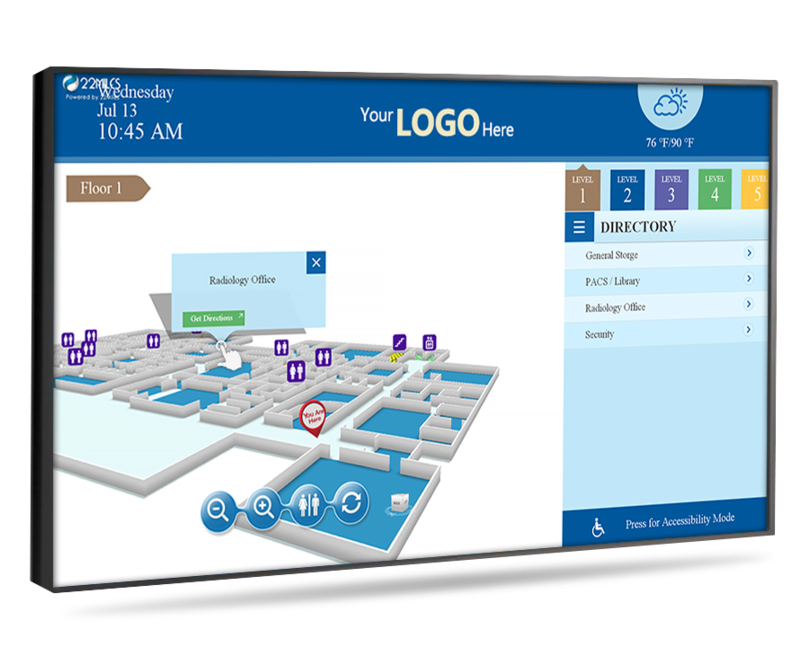 Every time the system turns on the Waytouch Premier™ retail digital sign software automatically loads itself. 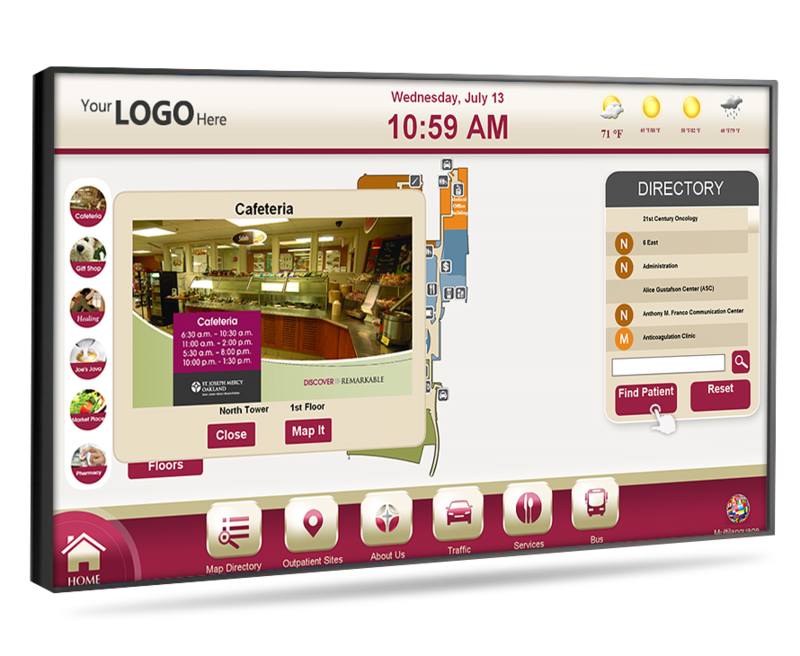 When placing your order simply let us know which features you would like and our graphics design team will creatively incorporate everything you need into the digital signs interface. You can select as many features as you’d like and you’ll always receive the same flat-rate price from us. We do not bill by sets of features, by "slides" or design time. What the combination of features would like to incorporate into the displays interface? This practical yet powerful solution enables you to efficiently update and manage all day to day digital messaging and media remotely from any device, anytime. Every update you make will instantly be enhanced, adjusted, and fine-tuned by our software to match your contents precise theme. 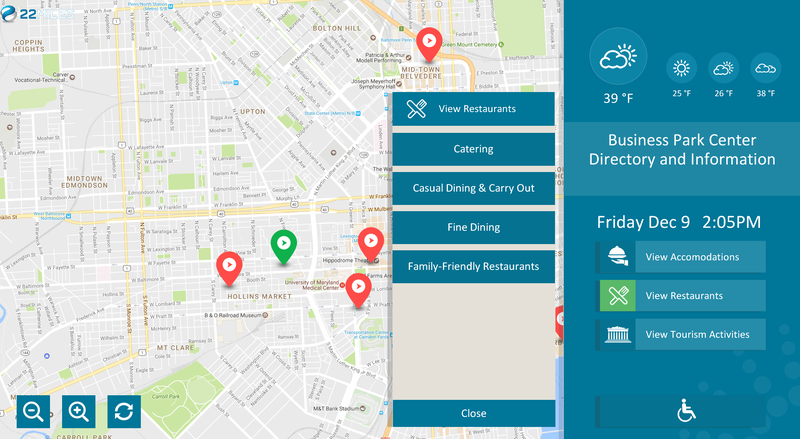 Text, images, videos, scrolling messages, menu prices, directory listing, event times, product descriptions, advertisements, welcome messages, and other forms of media. • Make changes to content remotely from your iPhone, Android device, tablet, or computer. • Every image and video auto re-sizes to fit the media zone just right. 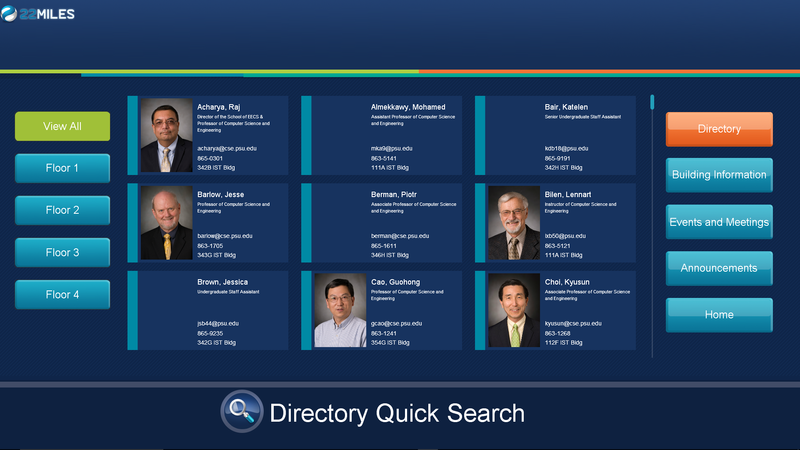 • All text updates you input are auto-optimized to match the existing font size, color, and style. • Changes you make to the content is saved then wirelessly pushed to the display within minutes. • No annual software license costs or renewal fees for content management. 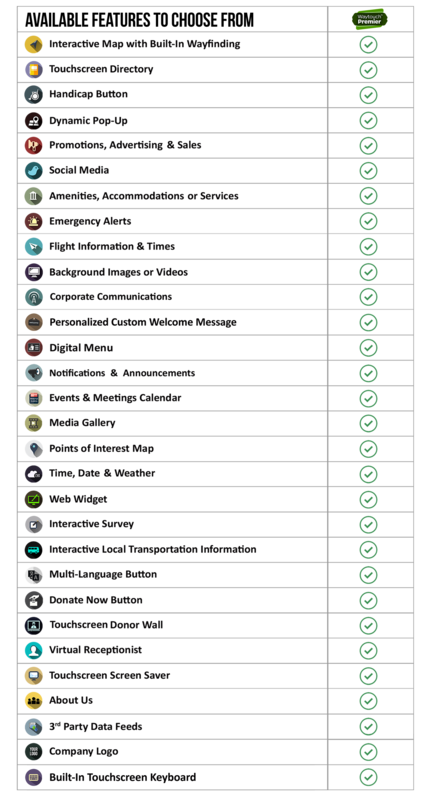 • Multi-User / Multi Admin control levels are available. We guarantee you that your system’s content, design, and layout will meet your exact expectations. • No strings attached, no hidden costs, no additional charges for ‘design time’. • All requested features will be properly incorporated. • Your branding requirements accurately executed. How do you want to use this system? What are your objectives? "Your team went and above and beyond! 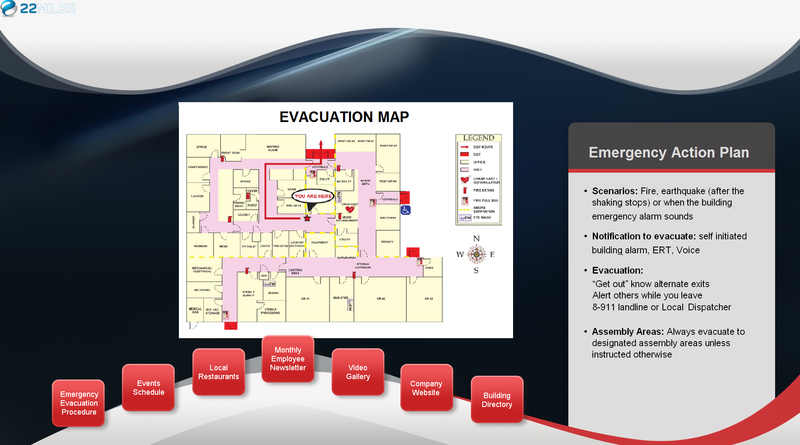 The final product meet our exact requirements - a superb layout, beautiful graphics, and the software is so easy to use! Thank you"
"I could not believe all of these amazing features came built-in standard. I told them what I wanted, and they designed a beautiful easy to manage. What a great experience!"